A Texas House committee on Thursday approved a bill from state Rep. Larry Phillips that would allow the open carry of handguns in the state. The legislation now goes to the House floor. A similar bill passed the Senate last week. The full Texas House will take up a bill allowing for the open carry of handguns after a committee approved the legislation Thursday. 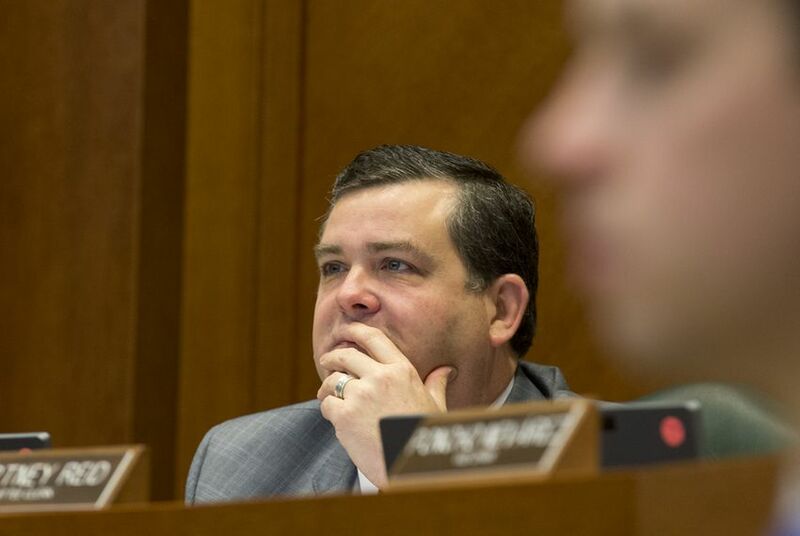 In a 7-2 vote, the House Committee on Homeland Security and Public Safety approved House Bill 910 by committee Chairman Larry Phillips, R-Sherman, which would let Texans with a concealed handgun license openly carry their weapons in public. The two "no" votes came from Democrats Alfonso "Poncho" Nevárez of Eagle Pass and Eric Johnson of Dallas. A similar bill by state Sen. Craig Estes, R-Wichita Falls, passed the Senate last week and has been sent to the House. Last week, the House committee heard public testimony for and against the legislation. Alice Tripp, a lobbyist for the Texas State Rifle Association, told the committee that Texans with a concealed carry license are far less likely to commit a crime than the average Texan. “It’s time to let them take off their coats to pump their gas in August,” she said. That hearing also included testimony on a bill that would allow for the concealed carry of handguns on college campuses. The Senate has given its approval to a campus carry bill from Sen. Brian Birdwell, R-Granbury. A University of Texas/Texas Tribune poll last month found a large majority of Texans are opposed to open carry with or without a license. In the same poll, voters were split on allowing concealed handguns on state college and university campuses.